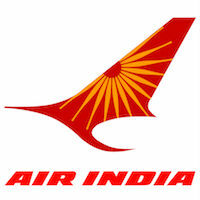 Online Application Details for Airline Allied Services Limited AASL-Air India Recruitment of 69 Cockpit Co-Pilot is given below. Candidate's minimum education qualification for the Vacancies in Airline Allied Services Limited AASL-Air India should be 12th Passed. Current valid CPL issued by DGCA, India / Valid ATR Endorsement with IR / Current Class-I Medical Fitness Certificate issued by DGCA, India / Current FRTO issued by DGCA, India / IR Endorsement for CPL / Current RTR (A) issued by WPC, Ministry of Communication, India / Valid ELP. Application form and duly attested documents are to be sent to Alliance Air, Personnel Department, Lufthansa Hangar Building, adjacent to the Office of ED (NR), Air India Limited, Terminal -1B, IGI Airport, New Delhi - 110037. In envelope super scribed with 'Application for the Post of Post Name'.